Materials presented here provide basic information about objects in space for younger children. 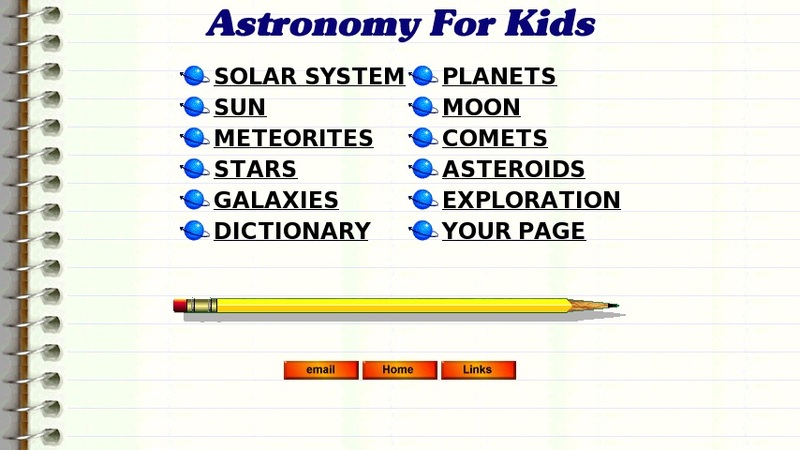 A set of links provides access to brief, bulleted facts about our sun, the planets, and other objects in our solar system and in the universe. A dictionary, a brief section on space exploration, and a link to email questions are also provided.